Creating a safe work environment is important for everyone – employees, managers and, of course, the business owner. Even the smallest oversight in this area can lead to unfortunate consequences such as injuries, lowered productivity, fines and lawsuits. If you have a business, you should constantly review your safety policies and address any areas that need improvement. Here are some ways to help you make your workplace safer. The Occupational and Safety and Health Administration or OSHA sets the national standards in America for health and safety regulations. As OSHA’s regulations are frequently updated, make sure you stay up to date with the latest version of the OSHA Small Business Handbook. The recommendations and safety tips in this manual provide you with the most comprehensive resources to help you create a safe workplace. In addition to many self-inspection tips, the guidebook lists many other helpful resources helpful for small businesses. Studying OSHA’s regulations is a daunting task, partly because so many different types of businesses are covered. Not all of the requirements will be relevant to your industry or type of business. Make sure you identify those requirements that apply to you. If you’re not clear about anything, consult with an attorney or contact OSHA directly. OSHA publishes several Quick Start guides to help you find this information. For example, there are manuals for General Industry, Health Care and Construction Industry. If you’re not clear about anything, consult with an attorney who specializes in health and safety issues or contact OSHA directly. 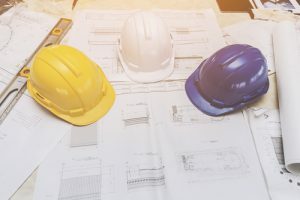 To make it easier to comply with their requirements, OSHA offers a wide variety of educational resources, including courses and certifications. Taking advantage of these resources is one of the best ways for you and your employees to learn the best ways to keep your workplace safe. In addition to written material, there are many hands-on training courses where employees learn how to recognize and prevent workplace hazards. On-site consultations are another valuable resource offered by OSHA. This is a free health and safety consultation that’s designed to help small businesses maintain a safe workplace. These consultations are not inspections, so you don’t have to worry about any type of penalties. The consultant will take a look at your entire workplace and offer guidance and safety tips. Following the consultation, you’ll receive a detailed report so you’ll know exactly where you need improvements. Health and safety are an essential aspect of any business that you can’t afford to overlook. Another crucial concern for all businesses is cash flow. Many businesses are challenged with cash flow shortages while waiting for invoices to be paid. Riviera Finance offers custom solutions in accounts receivable financing to help your business improve cash flow.